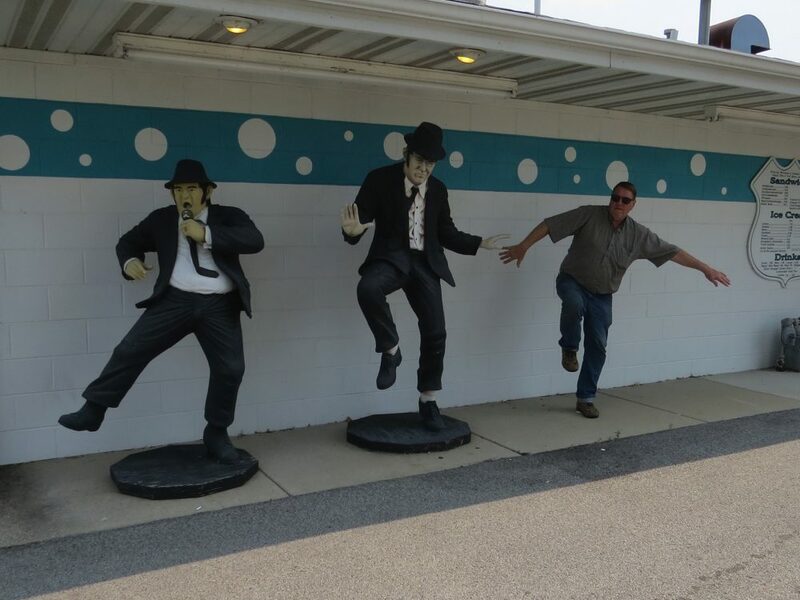 Bonnie and I decided that we would take a portion of Route 66 and travel from Joliet, Illinois to St. Louis, Missouri and check out some of the interesting places along the way. We would like to eventually take the whole route, ending at Santa Monica Pier in California. That’s a total trip of 2,448 miles through Illinois, Missouri, Kansas, Oklahoma, Texas, New Mexico, Arizona, and California – and three time zones. 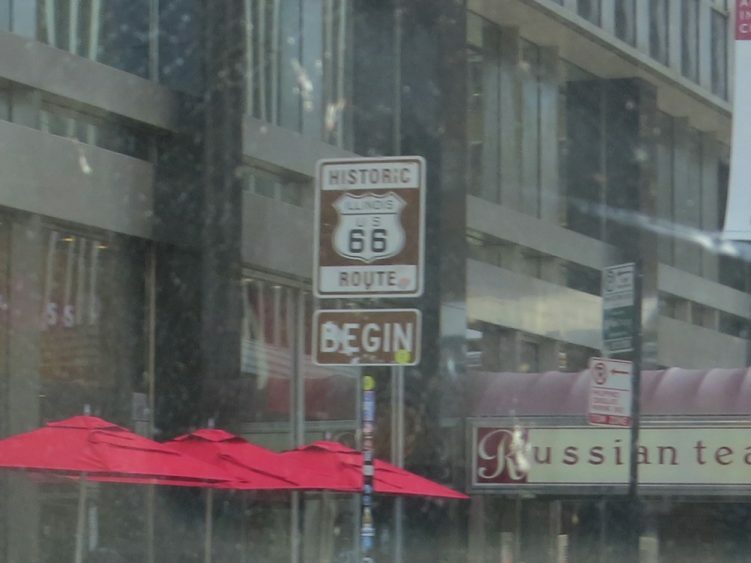 While there are plenty of historic sites to see along Route 66: i.e. 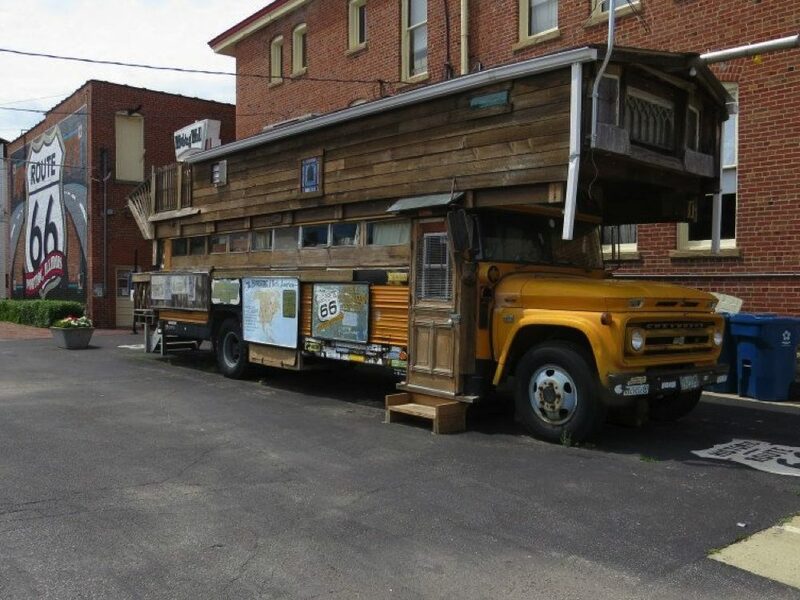 old gas stations, drive-in diners and restaurants, all kinds of museums, and plenty of curiosities along the route, you can’t really see everything, nor should you try on one trip. It’s more of a “pick and choose” philosophy that will move you along the route. And be sure to keep your eye out for the Route 66 signs to make sure to stay on the right road. There are many diversions in following the route, and often there are several different historic sections to choose from. The road was officially commissioned on November 11, 1926 and has had many enthusiasts and advocates since that time. Bob Whitmire was born on Route 66. His parents had a restaurant on the route in Springfield, IL, and they invented the corndog. 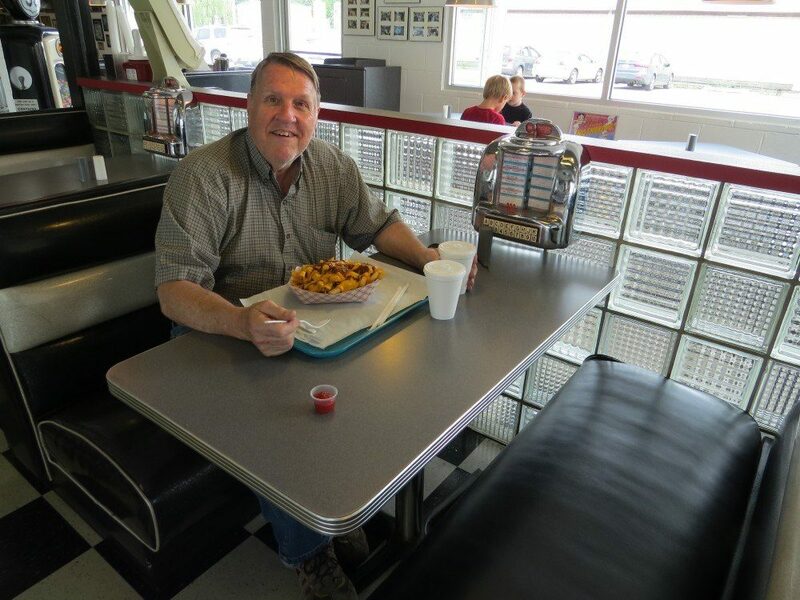 Bob traveled Route 66 for many years, beginning back in the 1960s. He literally spent a lifetime on the Mother Road and was considered by many to be its greatest advocate (see the pictures of his vehicles below). I don’t know if he saw everything, but he probably did. However, remember that he spent his life traveling the road. So, “pick and choose.” Take those things that have an appeal to you and seek them out to visit and enjoy. If you’re not much of a car buff, don’t worry about the car museums. The things that do catch your fancy, however, will be those things that you’ll long remember after you leave the Mother Road and re-enter modern day life. 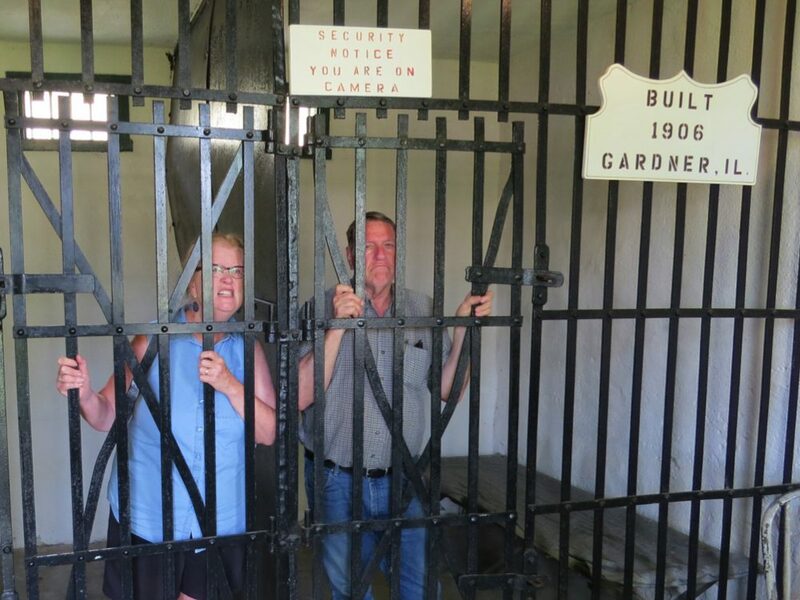 For us, it was refreshing and renewing to drive along the original roads at about a 45-50 mph speed and enjoy the countryside and other curiosities we encountered along the way. 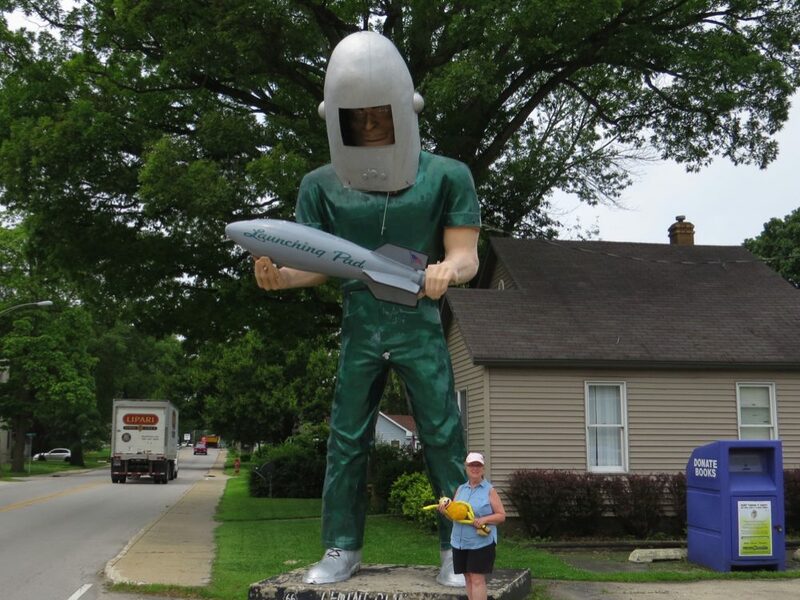 We especially enjoyed seeing the Gemini Giant in Wilmington, IL (the original giant was cast as a ‘Paul Bunyon type giant with an axe,’ but the four giants on Route 66 were most often seen holding a car muffler, but later modified so each one held something different), the Hotdog Giant in Atlanta, IL, the two-celled jail in Gardner, IL, the Dwight Texaco station, the 170 foot ketchup bottle water tower just south of downtown Collinsville, IL, and the Polka Dot drive-in as you enter Braidwood, IL. Along the way we met interesting people with their own stories to tell. We met Curt, a motorcyclist, who was taking the whole route, but we lost his photo when we lost our computers. Sorry, Curt. 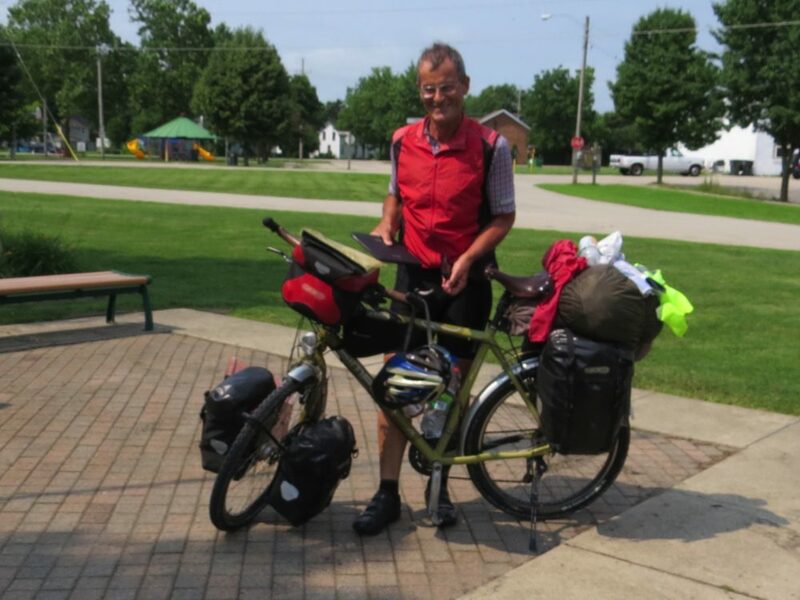 We also met Andreas, from Austria, who was traveling West and had biked all the way through Michigan to start on Route 66 and was in Illinois when we met up with him. 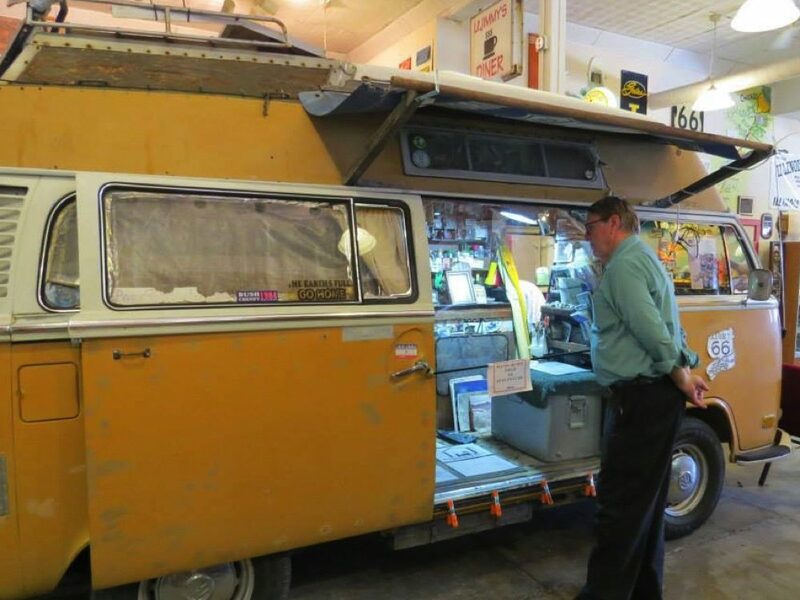 He was doing about 60 miles a day, and planned to go at least as far as Albuquerque! Some feat, especially in the heat of summer! Take a look at these pictures. Maybe they’ll inspire you to make your own trek down the mother of all roads: Route 66! The Gemini Giant: first of four giants cast from the same mold - but they’re different! 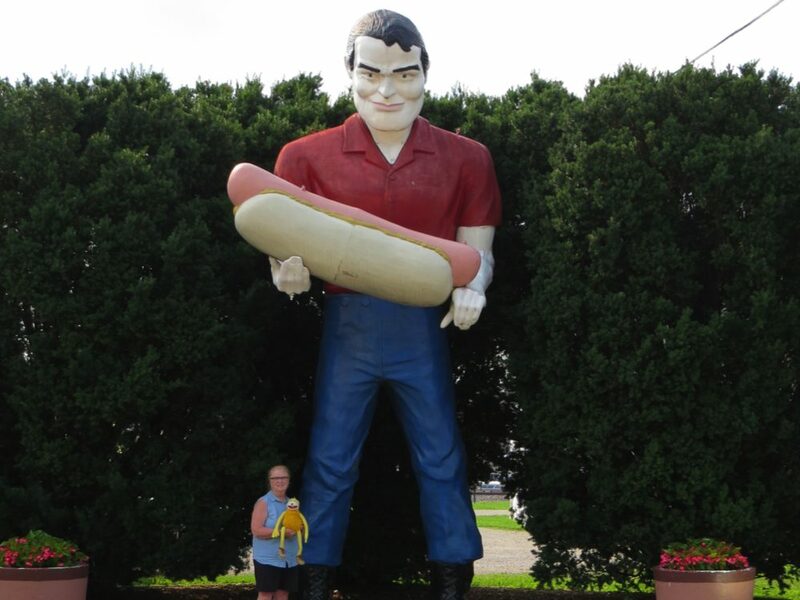 Hot Dog Giant: second of four giants cast from the same mold - but they’re different! 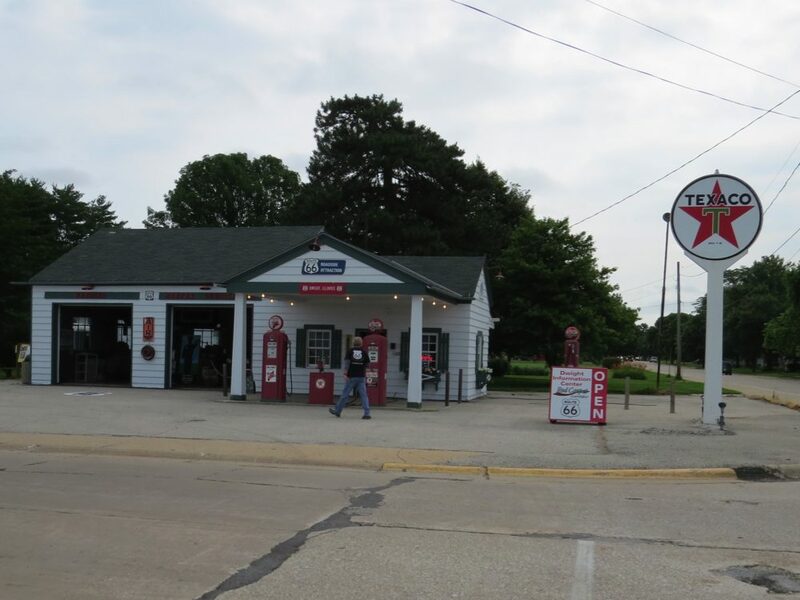 In Dwight, IL, the Texaco station brings back a lot of memories - and the rubber hose signal bell worked too!